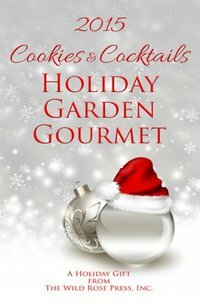 "J.C. McKenzie has a fabulous tale to tell about a very strong shifter who must learn to control both her mind, her mouth and a new beast rising from within... A dark fantasy filled with more grit than a sandbox, more sexual innuendo than an R-rated movie and one tough heroine that deserves better." ​As an ambassador with the Supernatural Regulatory Division, Andy McNeilly is responsible for acting as the Liaison for the Vancouver Vampire horde. The problem? She detests the Vampire Master, and the SRD can’t discover the beast she keeps locked inside. After a menacing Demon throws an important Vampire event into chaos, Andy finds herself sniffing out crime scenes to identify and locate the mystery fiend from the nether realm. What she learns chills her bones. ​Dragon shifter in hiding, Lara Stone wants nothing to do with Rafael Dragoi, no matter how good he looks in and out of a suit. She plans to make enough money to disappear. Vicious attacks on dragons have increased and if Lara’s exposed as a lone shifter, she might become the next target. Her brain tells her to run, fast, but her heart tells her to melt in the heat of Raf’s gaze. ​Find everlasting love in the clouds. Go back in time. Spring into the future. Soar on the wings of magic. ﻿As a dragon shifter in hiding, Lara Stone wants nothing to do with others of her kind or finding a mate. No way, no how. She's perfectly content to work for a security company, masquerading as a simple mage. When the leader of all the dragon clans personally requests her as a bodyguard, Lara fears her secret is blown, or worse. What danger could possibly make Rafael Dragoi, the powerful Astarot, seek protection? "I can’t wait for the rest of this series. This story gave me a taste of what is to come and I can’t wait for more." Read eight playful tales featured a certain heart-shaped candy. "When this book ended I think I actually sighed. Not because I was happy it was over! No, it was just so darn sweet I couldn’t help it." This is a complimentary hack book compiled by the Wild Rose Press and is available online for a free download here. The recipes are provided by TWRP authors, such as myself. 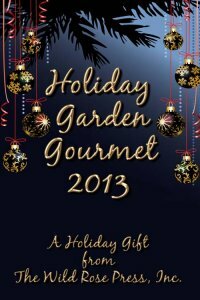 This is a complimentary recipe book compiled by the Wild Rose Press and is available online for a free download here. The recipes are provided by TWRP authors, such as myself. 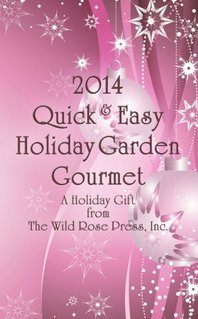 This is a complimentary recipe book compiled by the Wild Rose Press and is available online for a free download here. The recipes were provided by TWRP authors, such as myself. The Sands of Time is a 500 word flash fiction piece reflecting how time may be lost, but not forgotten.